What does the FDA have to Hide? Who do they work for?? 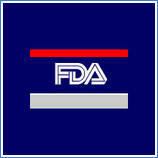 FDA shouldn’t be spying on whistle-blowers – Tampa Bay Times. Federal employees should not have to tolerate Big Brother as part of the job. But that’s what happened at the Food and Drug Administration when five of the agency’s scientists became the focus of intensive surveillance after they criticized the FDA’s approval of certain medical devices. The spying program is an inexcusable overreach, reflecting a culture of retribution where whistle-blowers are harassed and retaliated against. An investigation is needed to determine which FDA officials and managers participated, whether their actions violated federal employee protections and whistle-blowing laws, and how the agency’s culture can be changed. The scientists, some of whom have since lost their jobs, had been part of a yearslong dispute with their bosses about the agency’s review process for medical devices. They were concerned about the safety of medical imaging equipment used for mammograms and colonoscopies that they claimed exposed patients to unsafe levels of radiation. The Office of Special Counsel, the office that handles federal employee grievances, found a “significant likelihood” that what the scientists warned of was true. But higher-ups in the agency didn’t like it that these federal employees were raising concerns with congressional offices and the media, exposing the office to outside scrutiny. A trove of more than 80,000 documents accidentally posted online shows that starting in mid 2010, the agency used spy software to monitor what these scientists were doing on their government laptops used at work and home. The software tracked personal email communications, documents on their personal thumb drives and every keystroke they entered. The FDA operation also put together an enemies list that included 21 congressional officials and journalists, among others, with whom the scientists communicated. The FDA says the spy program was not intended to interfere with any communications but to determine whether the scientists were inappropriately sharing proprietary information and trade secrets. That’s a poor excuse. By gathering up protected communications, such as attorney-client conversations and whistle-blower complaints made to Congress, the FDA itself may have violated federal law. The program is sure to dissuade government employees from coming forward with insider knowledge of government waste, fraud and wrongdoing. In response to the scandal, the White House has already sent a memo throughout the federal bureaucracy stressing that agencies may not monitor their employees to discourage whistle-blowing. But that is not enough. Some members of Congress are calling for a full investigation, which is what should happen, holding those who participated responsible. It’s the only way the oppressive culture of the agency will change.